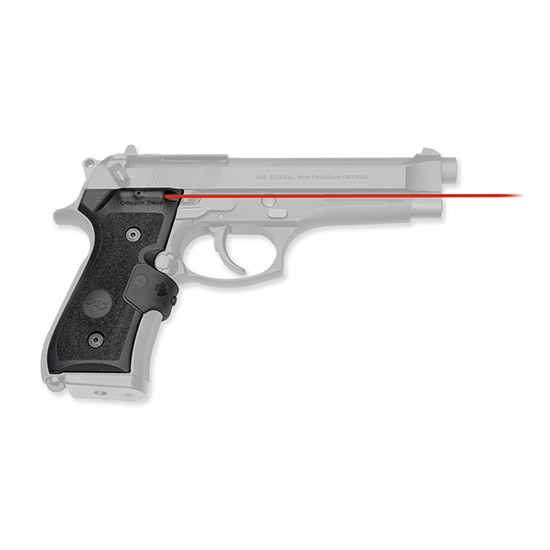 Crimson Traces LG402M laser sight is designed specifically for the demands of military use. It exceeds MILSTD810F standards for waterproofing dustsaltfog resistance and highlow temperature operation. This model features a more prominent overmolded front activation switch and aggressive textured sidepanels designed for maximum control with or without gloves. Under extreme testing the LG402M worked flawlessly under adverse conditions providing instinctive activation and fast accurate target acquisition. It fits Beretta 92 96 and M9A1 large frame pistols including the Centurion Elite II and Brigadier.